There’s quite a bit happening the next month or so, the summer is always a busy time of year for exhibitions and festivals. 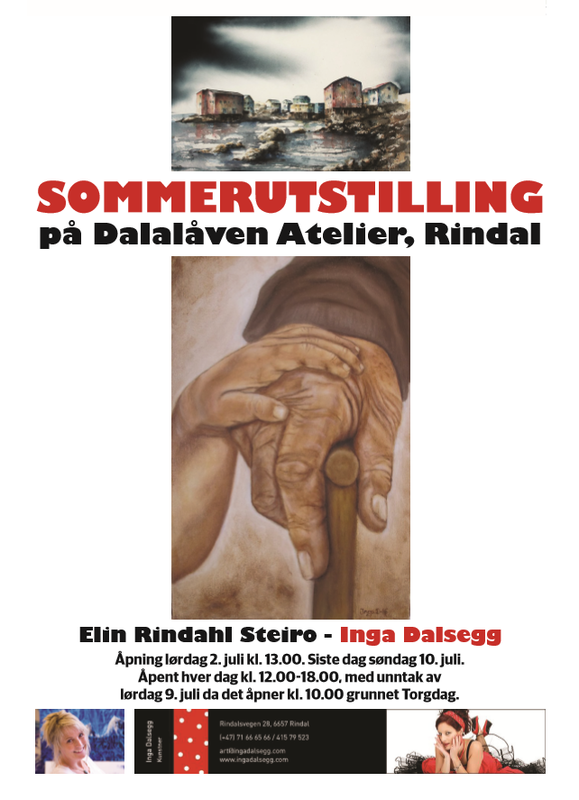 I will be exhibiting at The Norwegian Salmon Festival (Norsk Laksefestival) in Surnadal Friday 24th-Sunday 26th June. You will find the art exhibitions in the Gallery at the Cultural House. I will also bring my art merhandise in addition to paintings and drawings, and be available the entire weekend for customers. You can read more about art at the Salmon festival here. I am the Festival Artist at the Kibneb Festival in Lensvik this year, Thursday 30th June-Saturday 2nd July. My exhibition will open at Gallery Kratstasjonen on the Thursday at 17:30. You can read more about the exhibition and see the entire Festival program here. They also have a Facebook event here.